Brief summary of the paper: The influence of oncogenic phenomena on the ecology and evolution of animal species is becoming an important research topic. Similar to host–pathogen interactions, cancer negatively affects host fitness, which should lead to the selection of host control mechanisms, including behavioral traits that best minimize the proliferation of malignant cells. Social behavior is suggested to influence tumor progression. 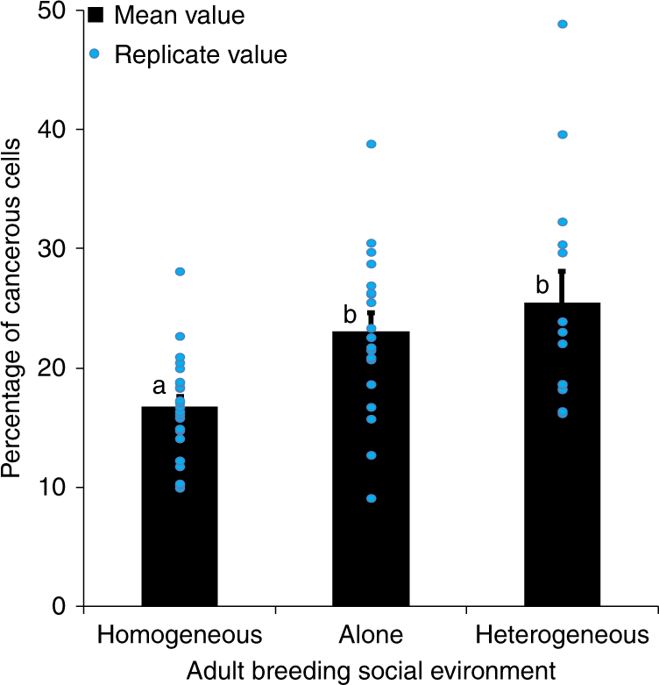 While the ecological benefits of sociality in gregarious species are widely acknowledged, only limited data are available on the role of the social environment on cancer progression. Here, we exposed adult Drosophila, with colorectal-like tumors, to different social environments. We show how subtle variations in social structure have dramatic effects on the progression of tumor growth. Finally, we reveal that flies can discriminate between individuals at different stages of tumor development and selectively choose their social environment accordingly. Our study demonstrates the reciprocal links between cancer and social interactions and how sociality may impact health and fitness in animals and its potential implications for disease ecology.